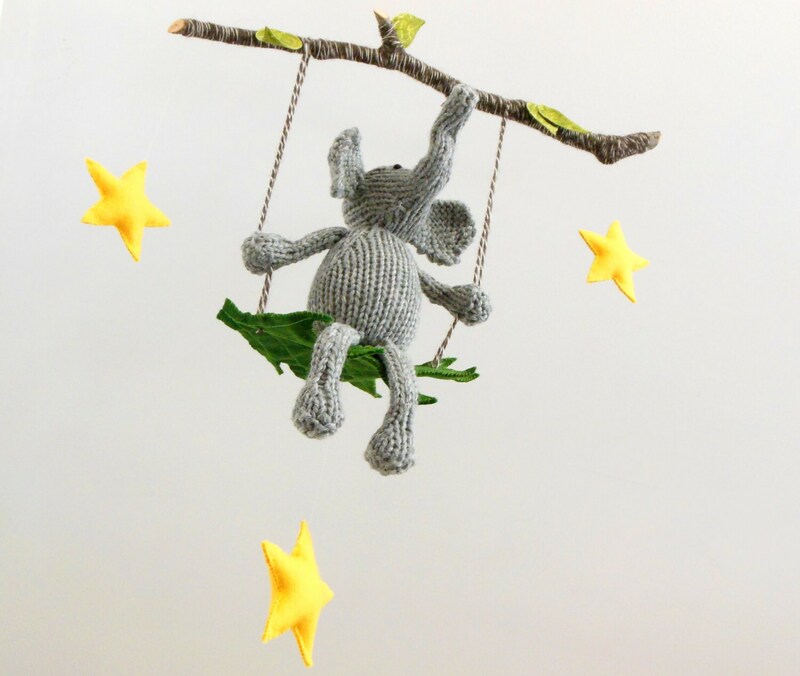 This Elephant mobile is carefree and playful and will add a touch of whimsy and happiness to your baby's room or playroom. 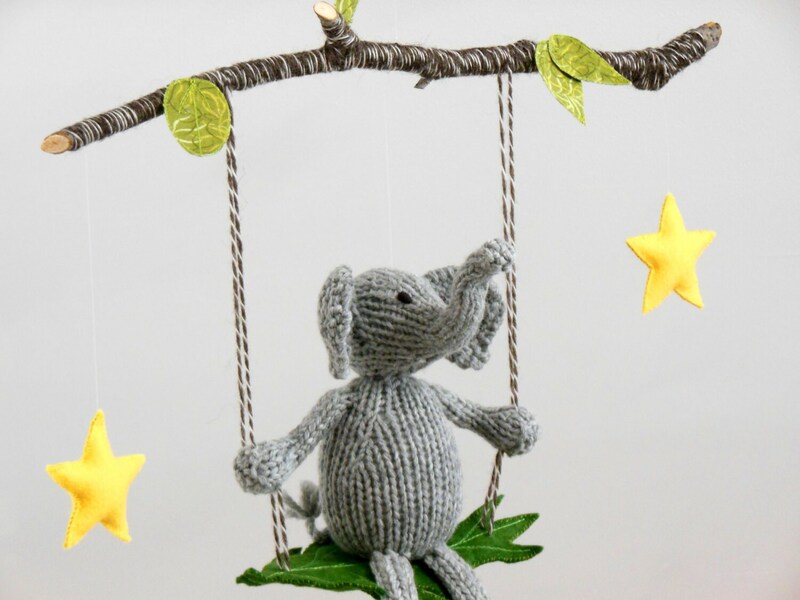 The knit elephant happily swings on its hand-sewn wool felt leaf swing, while three sunny yellow stars dance alongside. 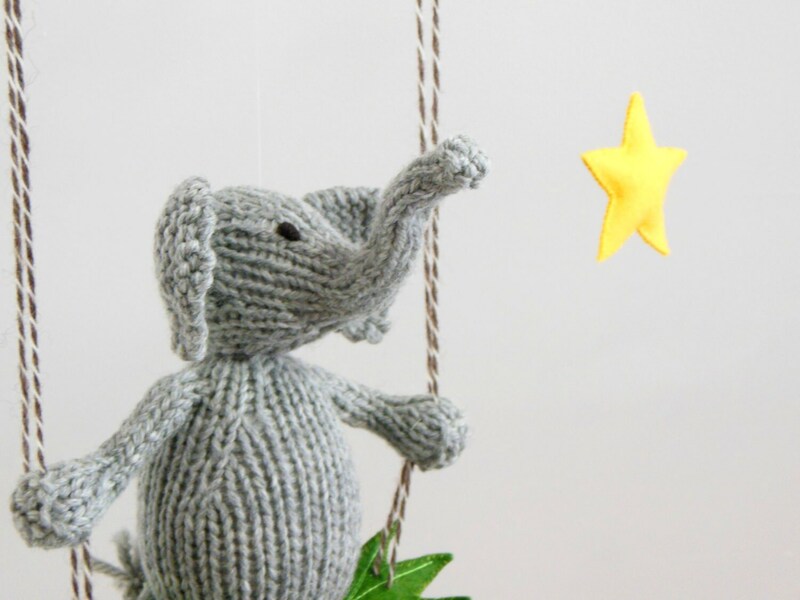 An almost invisible strand of monofilament attaches the elephant to the branch keeping it level, while the entire mobile balances on only one strand of monofilament. 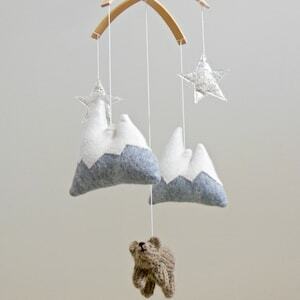 The mobile is created with a real branch wrapped with undyed wool yarn. 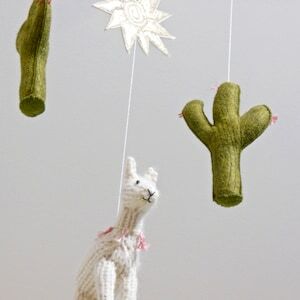 Sprouted cotton leaves accent the mobile and add complimentary color. 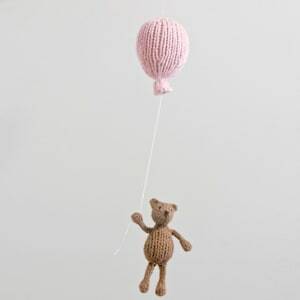 ♦ Size = 2" and 3"
Barb is unbelievably kind, patient and TALENTED!!! The mobile is better than I even imagined. 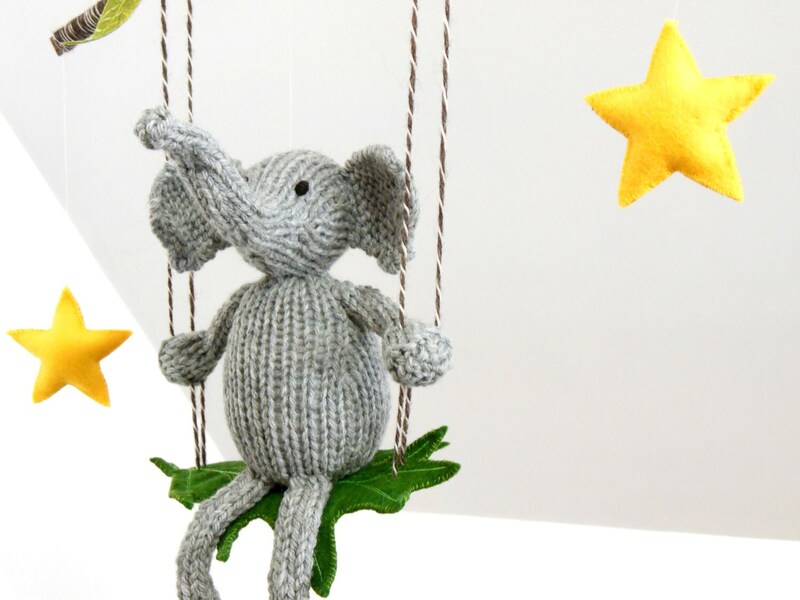 It's larger than I anticipated but that's actually a good thing for my baby's room. 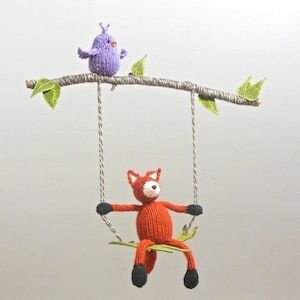 Barb thought of everything and even included the hook to hang the mobile and extra string to move the length. 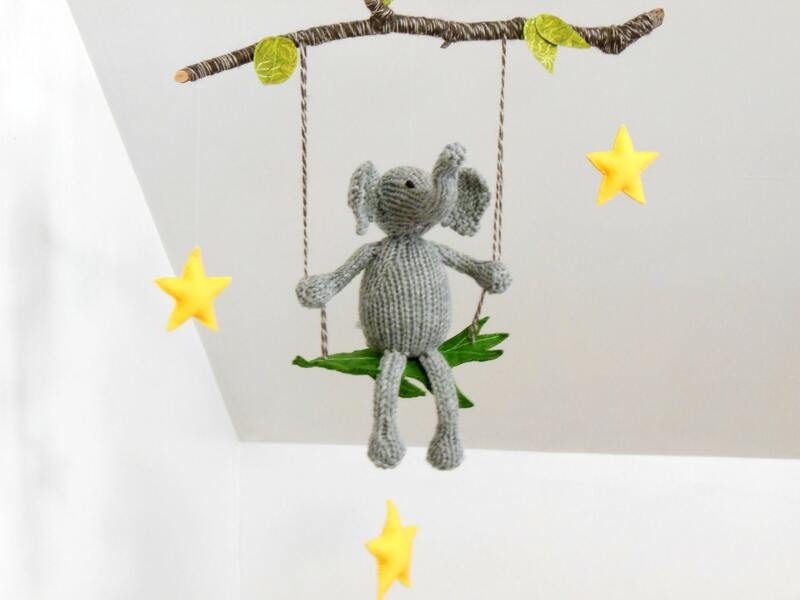 It's really the cutest thing in my son's room now!